ABU DHABI, 11th March, 2019 (WAM) -- His Highness Sheikh Mohamed bin Zayed Al Nahyan, Crown Prince of Abu Dhabi and Deputy Supreme Commander of the UAE Armed Forces, received today a phone call from Prime Minister of India, Narendra Modi. 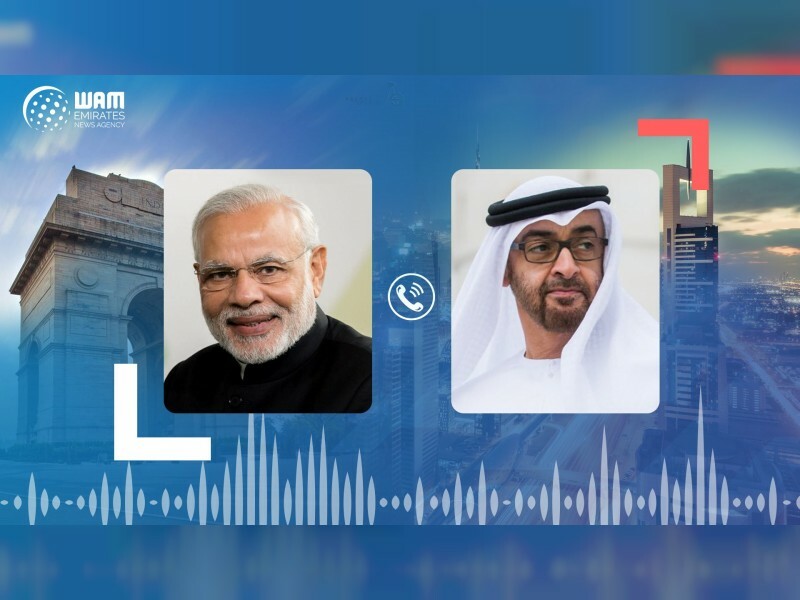 During the phone call, His Highness Sheikh Mohamed and Modi discussed ways of further advancing the distinguished relations between the UAE and India. They reviewed prospects for furthering co-operation in the economic and investment domains as well as other primary sectors, in addition to accelerating coordination and consultations on issues of mutual concern. The two leaders expressed satisfaction with the steadily growing co-operation between the two sides and renewed their commitment to continuing to enhance their strategic partnerships. The two sides exchanged views over the latest regional and international developments, with Sheikh Mohamed emphasising the UAE's determination to support all regional initiatives and endeavors aimed at establishing peace, security and stability for the countries and peoples of the region and to work towards enhancing joint co-operation in addressing common challenges.